Divorce is the dreaded ‘D’ word in India. Though divorce is common in the Western world, the divorce rates in India are modest. But, with modern times, there has been growing penchant for Indians towards dissolution of their marriage. Divorce lawyers in Chandigarh will ascertain this fact. Breakdown of marriage happens to be an excruciating procedure in India with the stigma, scrutiny and long drawn process entailed by our legal system. One must consult advocate for divorce. 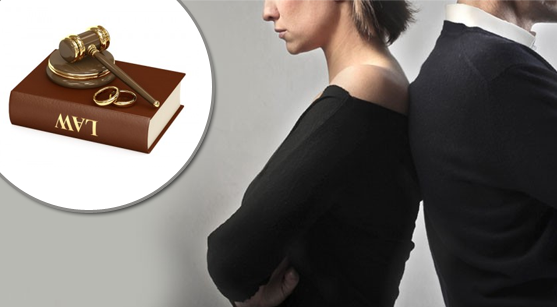 There are two types of divorce procedures: By mutual consent or contested divorce. The former is where both spouses agree to separate and the latter is when one party is not willing. The process of the latter is, thus, naturally more complicated. A mutual consent divorce advocate has an easier job. Contesting a divorce or an appeal will go to a court. In the case of contested divorce, the grounds for divorce vary from community to community (religious). Unsoundness of mind as a criterion of divorce is applicable to Hindus, Moslems, Parsis and Inter community marriages. Divorce procedure in Chandigarh follows this criterion. 2) the respondent has been in this condition for a time less than 3 years just before filing of petition for divorce. But the 1976 Act has omitted the time period considerations of the mental condition and has made extensive clarifications. The term-‘incurably of unsound mind’ cannot be applicable for feeble minded person or persons with dull intellect. Such people are aware of the consequences of their action and able to conduct their lives with utmost normality. A good divorce lawyer can help anyone contesting unsoundness of mind. Where unsoundness of mind is taken as a ground for dissolution of marriage, the person needs to collect clear and cogent evidence beyond reasonable doubt, which has to satisfy the courts. Unnatural habits and eccentricities do not count as condition of mental unsoundness or any psychopathic disorder. Schizophrenia is often regarded as unsoundness of mind. Medical opinion is divided over whether it is a curable or incurable disease. However, paranoid schizophrenia is admissible as a quality of unsoundness of mind. As per the 1976 Act, the term-schizophrenia has been admissible as unsoundness of mind. Both judicial separation and divorce are granted on the criteria of unsoundness of mind. • The person must have continuously or intermittently suffering from mental disorder to such an extent that the spouse finds it difficult to live with him or her. For the second criterion, the petitioner must provide evidence that the respondent has mental disorder, as well as it is impossible for the petitioner to continue living with spouse. In case of Schizophrenia, it is not required to prove its occurrence before or at the time of marriage.